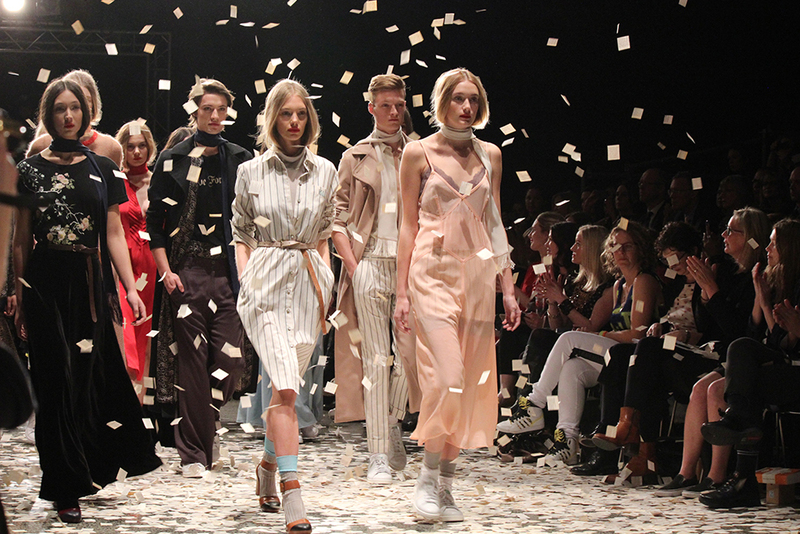 Last week, most New Zealand bloggers could be found sitting front row with their designer goodie bags and complementary coconut water, watching beautiful models wear beautiful garments down a beautiful runway. Me? I didn't have quite the same experience (well, I got a taste! More on that later though). I've only been blogging for just over a year, which I suppose is a decent amount of time; however, I didn't feel that I would make the cut as a delegate at NZFW. Firstly, the administration fee was a non-refundable $50 just to be considered..! As a student, that's about the equivalent of my food for a week (probably more), and I don't think I was quite prepared to risk my avo & tomato on toast. So instead, I applied to be a NZFW volunteer. I had heard about the opportunity after last year's fashion week, and thought it would be a great, alternative way to see fashion week for the first time. I decided to document my experience in two blog posts (two because one ended up being way too long) in case anyone else wanted to know more about what it's like to be a volunteer at NZFW. Read on to part one if that's you! The applications for volunteers opened around the start of July this year. It involved filling out a standard form on the NZFW website (name, age, phone number etc etc), as well as noting down my availability, why I'd like to volunteer and any relevant experience I had. A few weeks later, I received an email from Cayden (the Volunteer Coordinator) inviting me to attend a group interview for the next stage of the application process. The 'interview' was more of a introduction to volunteering at NZFW, and I'm not sure if anyone was actually turned away at the interview stage..? But anyway, I was informed that I was assigned to be a dresser (which I was super excited about; hello backstage!) and that my head dresser would be in contact with me a couple weeks before fashion week started. About two weeks before fashion week was due to start, I received another group email from Cayden asking us to help pack goodie bags the Saturday before fashion week started. In return for our services, we would receive a ticket to one of the Resene Designer Selection Shows, which included a goodie bag of our own to take home. That seemed like a pretty good deal to me, so I agreed to help out. After being a part of the giant human production line that was goodie bag packing, I now have a much greater appreciation for every flyer, pencil and hand cream sample I will ever receive in one of those bags. We were scheduled to be working from 8am til 4pm, but I think they underestimated the number of people who turned up and we ended up having everything done by 11am! A pretty productive morning I think, considering I'm usually only just rolling out of bed at that time on a Saturday. Sunday before FW was orientation day (well, more like orientation hour since it didn't take long). We were briefed about our role as a dresser, before being split up into our assigned teams (I was team 1) and taken on a tour around the events centre by our head dresser. She also confirmed out availability for the shows that our team had been assigned to for the week (which had been emailed to us prior to orientation). At the end of the tour, we got to pick up our volunteer t-shirts; these were our official uniform for the week, as well as our ticket to get into the backstage area. They featured a funny graphic of Anna Wintour having a chat to Karl Lagerfeld about how fab NZFW is going to be; I think it's pretty cute and will probably wear it again on a lazy Sunday. Dressers essentially help models to get changed quickly during the show, since most models have 2-3 outfits per show. We were required to be at the event centre 2 hours before each show we were assigned to, and picked up a volunteer backstage pass from The Green Room upon arrival. There is quite a bit of waiting around, but luckily, time passed pretty quickly as I chatted to the other volunteers and scrolled through my instagram feed/stalked the #nzfw hashtag. There was also a volunteer kitchen area full of Tim Tams, muesli, Vogels bread and yummy dips/spread to keep us from going hungry. 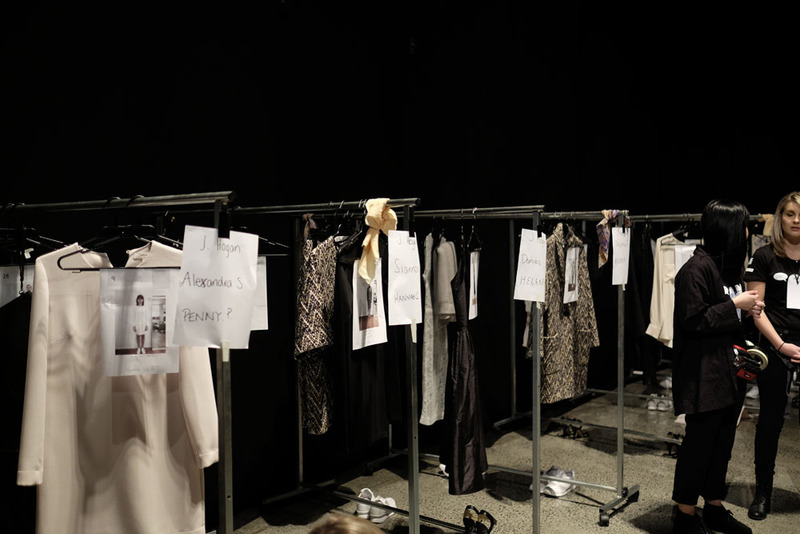 We were called to go backstage around 40 minutes before each show was due to start, where a clothing rack for each model is set up containing all their outfits for the show. Each of us dressers picked out a rack to stand next to, and made sure all the pieces required for the outfit were on the rack; this included the shoes and accessories as well. There was usually a picture of the final look (and sometimes written instructions) to help with this. Eventually, models start streaming in with their hair & make-up at various stages of completeness to get into their first outfits. It was also recommended that we ask them to try on all the shoes they were going to be wearing, because once the show started, it would be too late to fix the fit/find another pair. The designer of the collection was usually floating around backstage (or frantically fixing last minute details) and made sure each of us dressers knew what we're doing with each outfit. Once the show began, things started to get exciting as the models went to do their thing on the runway, before almost running back to their rack to get into their next outfit. The speed at which clothes/shoes were taken off/put on is pretty impressive. We are ready and waiting with the next outfit off the rack, and helped them pull off shirts, shimmy into dresses, buckle buckles, zip zippers and anything else that would make the process faster. It's pretty intense and sometimes slightly nerve wracking that you might not get everything on fast enough, but I don't think I saw anyone miss their spot in the line up. After the show, we were required to put everything back on the hangers as we found them, which sometimes involved putting them into garment bags as well. All the pieces were then carted off on one rack to wherever they go after shows (back to the designer I suppose? ), and then we were all done! The designer usually really appreciate your help, and it was pretty exciting to be a part of something someone has worked so hard towards. Occasionally, if we had some down time before/between shows, we also got asked to help set up the seats and put out goody bags in preparation for the next show. This was usually done by the volunteer ushers, but sometimes they were short of time/man power. The ushers got to watch all the shows they are assigned to, which is a definitely plus! But as a dresser, we got to experience the all the backstage hype; I definitely think both roles have their perks. 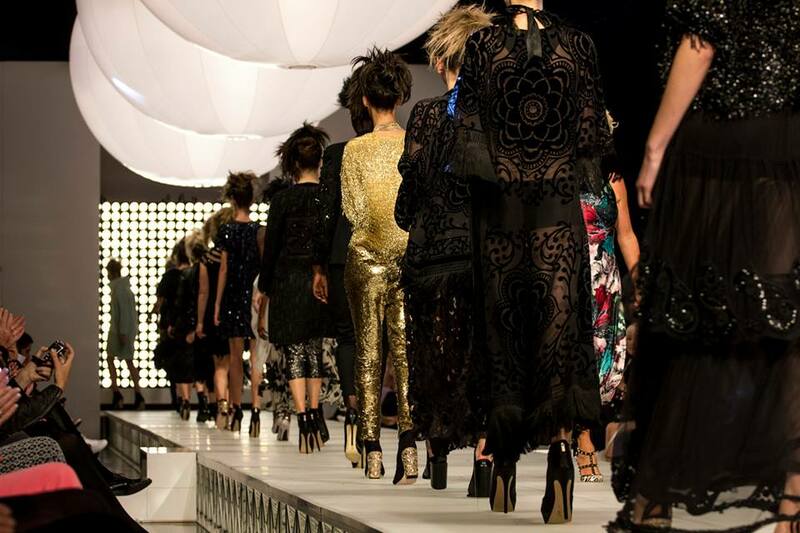 Stay tuned for part two for more details about my experience as a NZFW volunteer! Sounds like such a great experience! Personally, I find it so much more exciting when you get to be involved with the process and getting to see your hard work unfold smoothly :D Hopefully you'll be at the delegate front row next year! Wow, what an incredible thing to do! It sounds stressful but exciting. Congrats on being selected to volunteer! That is definitely a great way to get your foot into the Fashion Week door. It sounds like you had a hectic but awesome experience!